Hello there! Long time lurker and avid search function user, but I cannot for the life of me track down a similar issue in the forums as to what I'm having, so I am hoping someone here may have some pointers. 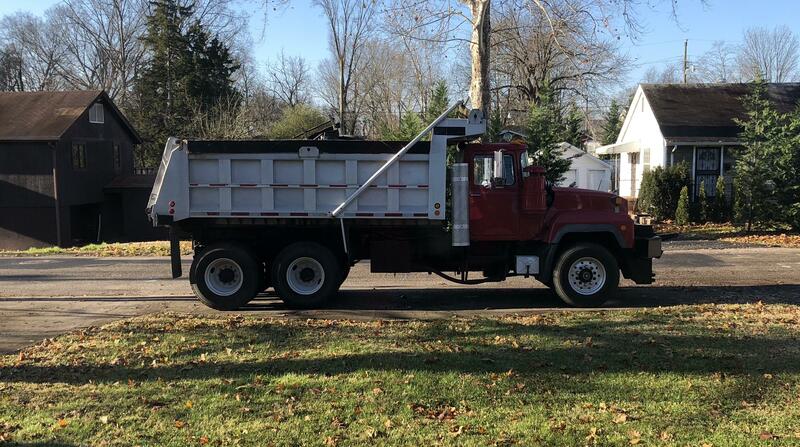 I have a 96 Mack RD688S dump truck with the E7 300 Mack engine and an Allison HT750DRD paired up to it. Truck has 130k miles/8600 hours. There is an air throttle on the truck, air modulator for the trans, and fully mechanical operation with both. The issue is this. When driving in 2nd gear (doesn't happen in other gears) under any acceleration/throttle input, the truck will surge for the lack of a better term. It almost feels as though the transmission changes gears in the middle of 2nd gear. Around 900-1000 rpm every time this happens. With more throttle input it happens a bit later, less throttle earlier. The truck will accelerate smoothly, acceleration and RPM's drop slightly for about 1 second, and then power will resume unimpeded until the shift into third/fourth/and fifth. Again, it feels as though it is shifting gears in the middle of 2nd gear, and after the "surge" happens the truck resumes at roughly the same RPM that the "surge" happened at. Motor function is spot on best I can tell, and again, doesn't happen in the other four gears. I recently purchased the truck and haven't put a load on it yet when driving as I'm currently going through and fixing all the little problems before putting it in service full time. It is possible that the RPM's where this happen are a little higher than I listed as the tach doesn't appear to be spot on, but the indicated RPM is where this happens, and it is very consistent. For experimentation I made sure the truck stayed in gear and I allowed the RPM to drop to below where the "surge" happens, and I'd accelerate back up all the way to the shift point and it won't happen again if it's already occurred...unless I let the torque convertor kick in and the RPM drops to idle speeds while I'm still rolling. At that point once I apply throttle and the torque convertor kicks back in in 2nd gear where it left off, if I accelerate past 900-1000 RPM I will get the "surge" again. I have a fair bit of experience with motor/transmission work but never with a fully mechanical automatic. I prefer manuals (for reasons like this) but this truck was a good deal and in excellent shape otherwise. I've had to pull valve assemblies and replace solenoids and such before in electronic transmissions, but never had a problem like this and don't know where to start considering the mechanical nature of the transmission. It doesn't help that it's extremely hard to find service manuals for this transmission. I have replaced the transmission modulator (air throttle) and that helped tremendously with shift patterns on the truck (it was the original modulator on it still) but this problem has remained the same. All other functions of transmission/truck are great. I considered a torque convertor issue but this only occurs in one gear so that would rule that out in my experience. After searching extensively I finally tracked down an old manual for the transmission and found out what the "problem" is! I'm mainly just replying here so that if anyone searches this they will find my post and perhaps it will help them out. The "issue" I'm having isn't an issue at all. It turns out that the Allison HT750DRD (and a few other Allison automatics) have lockup clutches where the transmission runs like a direct drive instead of through the torque convertor. When the transmission locks up the clutches, it feels like a gear shift...a temporary interruption in power. I thought it was a problem as I've never driven a heavy duty Allison transmission, I usually only deal with manuals. I hope this helps someone who thinks something is wrong like I did! It feels like a gear shift but only happens in 2nd gear (in my trans), but it turns out that all is well.